Whenever there is a sale on art canvases, we like to stock up on them. Currently, I have a closet filled with blank canvases that are just begging to be used. We love to experiment with different paint methods & techniques. 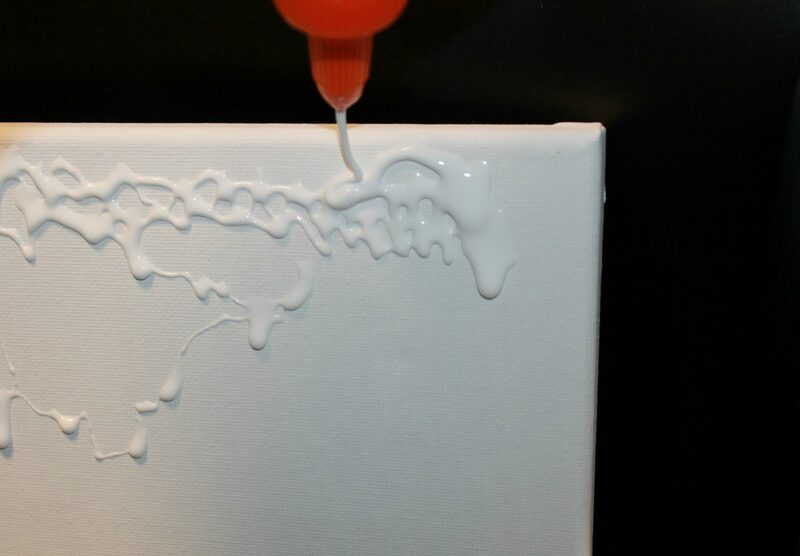 This week, we played with glue on canvas. Anything that allows my daughter to squeeze out an excessive amount of paint or glue is a hit with my little girl. 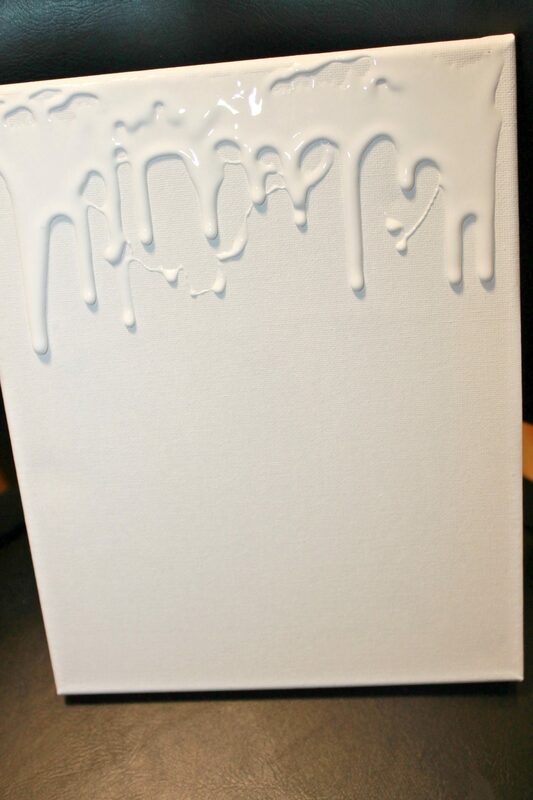 We stood up the canvas and started squeezing school glue along the top and letting it drip down. 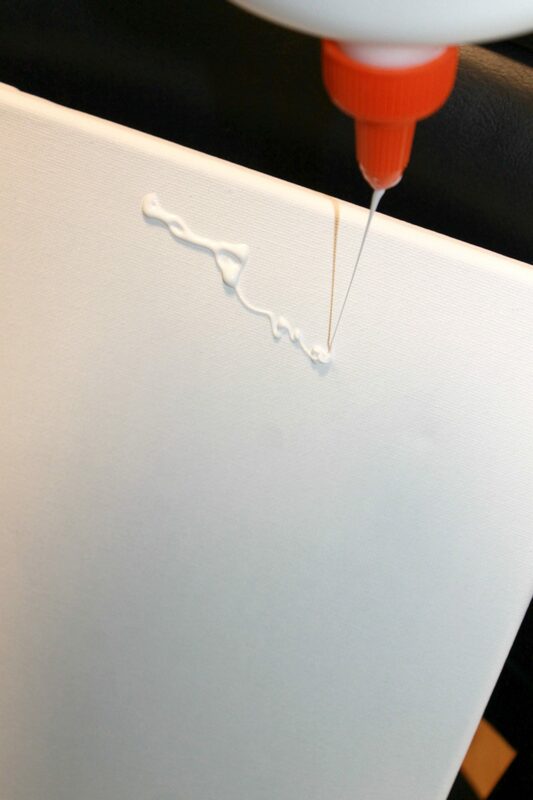 Move your canvas around and let the glue travel. Set the canvas down & let it dry overnight. 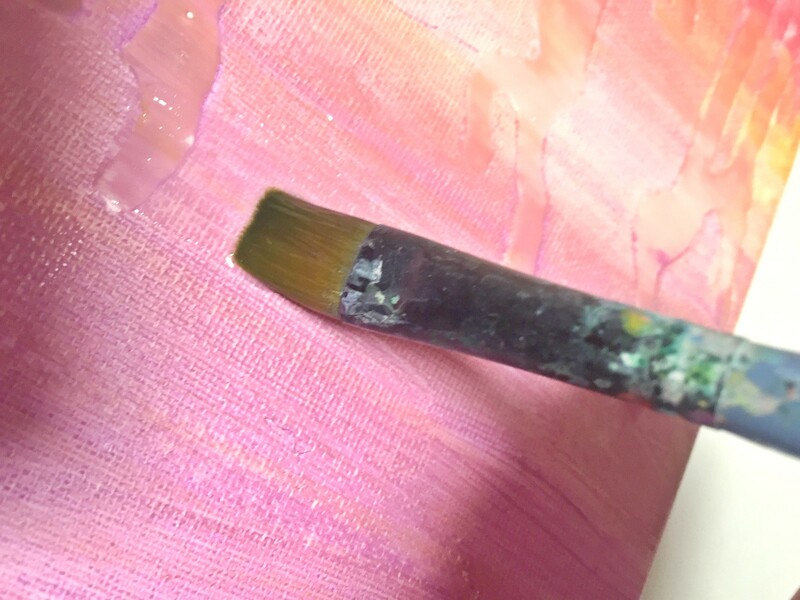 Once it is dry, paint over the whole canvas in watercolors. This creates a fun abstract painting with a little texture. Another fun glue project is to use the glue to squeeze out a design or drawing. 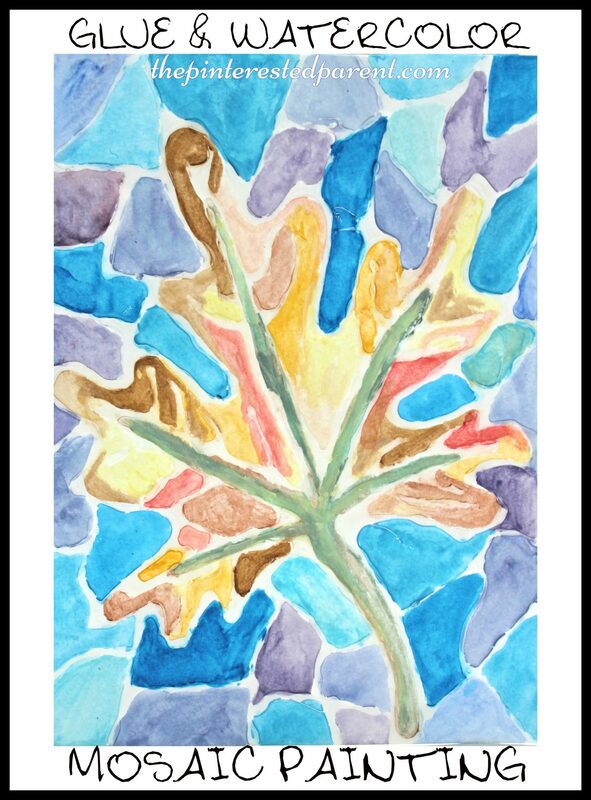 I chose a leaf design and created segments around the leaf for a mosaic effect. Set it aside to let the glue dry. When you are ready, paint around the dried glue.